Commercial Electrical Services in Hickory, NC | Lake Electric Co. Inc. Commercial Electrical Services in Hickory, NC | Lake Electric Co. Inc.
From lighting installation to wiring repairs and scheduled servicing, no job is too big or small for us to handle. 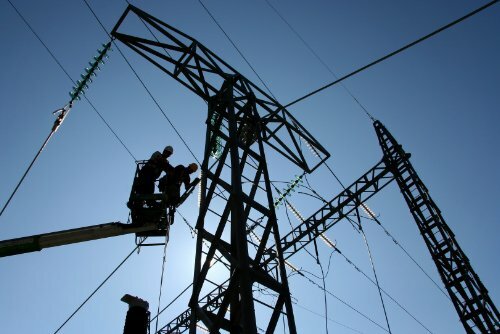 At Lake Electric Co. Inc., our service to you always encompasses safety, quality, production and consistency. At Lake Electric Co. Inc., we are a safety-first company that is also committed to providing you with quality and consistency. Contact us today if you require industrial or commercial electrical services at your facility, including design build services. There are many things that set us apart at Lake Electric Co. Inc., including our 30 plus years of history and hundreds of years of combined electrical experience in Hickory, North Carolina and the surrounding area. Our crews are capable of performing concrete, asphalt, rigging work, and land engineering services to ensure that your entire project is complete. We’re bonded and insured and also have unlimited licenses to work in North Carolina, South Carolina, Virginia, and Georgia. We are available to promptly assist with any type of electrical emergencies 24 hours a day and 365 days a year. Our number one goal and commitment is the safety of our customers and our employees. For safe, quality commercial electrical services in Hickory, our team at Lake Electric Co. Inc. is your top choice. When you think of Lake Electric Co. Inc., the first thing that should come to mind is our motto: “When It Has To Be Done Right.” Since 1984, our company name has been synonymous with this phrase, and it is the driving force behind our growth and success, for not only us but our community as well. At Lake Electric Co. Inc., we have everything it takes to do virtually any type of electrical work you may need – either on a planned or emergency basis. Our large inventory of standard and specialty electrical tools, trucks and equipment, combined with a large service fleet, allows us to quickly respond to your needs. Our team of qualified electricians is well-trained and receives routine updates on more efficient and economical ways to complete projects for our valued customers. Whether you are experiencing power loss, need scheduled maintenance, are expanding your facility, or have a new construction project, we can provide the commercial electrical services you require. 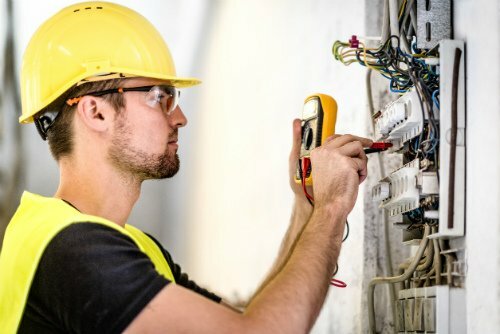 If you require commercial electrical services in Hickory, the only call you need to make is to us at Lake Electric Co. Inc. We’ll work with you to ensure you get the quality commercial electrical services you need and your business deserves from the largest electrical contractor based in Catawba County.